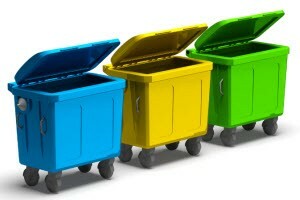 Before starting your next do-it-yourself project, be sure you know all there is to know about waste dumpster rentals. Are you planning a big renovation or a small remodel? Or maybe you have a big landscape re-do in mind. Whatever amazing project you have in your future, you are sure to have amazing amounts of waste to get rid of. Planning for clean-up with a dumpster after your special project will simplify your life, and keep your living space comfortable. #1. Plan ahead: Don’t wait until you are knee-deep in waste from your special project before you consider dumpster rental. Carefully evaluate your project and plan ahead for waste removal. What things should you take into consideration? The weight and quantity of the materials you are disposing of as well as the type of materials play a role in determining what type of dumpster to rent. #2. Measure your space: Don’t rely on an eyeball estimation of the space where you will be renovating or working on your special project. Measure your space to get an accurate idea of how much waste you will have. Dumpsters are rented based on the amount of waste you will have and waste is measured in cubic feet. Feeling intimidated by calculating cubic feet? #3. Understand how dumpsters are rented: Dumpster sizes are available in 10 yards, 15 yards, 20 yards, 30 yards, and 40 yards. Remember, the yards actually refer to the amount of waste the dumpster can hold, not the size of the dumpster. #4. Consider the weight of materials: When it comes to dumpster rentals, weight matters. Because weight plays a role in determining which dumpster you rent as well as the price of the dumpster rental, it is important to consider the weight of materials being hauled off. #5. Consider the type of materials: Some materials are considered hazardous. Because of this, they can’t be put in dumpsters. Ask your dumpster service what types of materials are allowed in their dumpsters. #6. Share with neighbors: Are you concerned your project won’t produce enough waste for a dumpster rental? Do you still want a convenient and affordable way to have waste hauled off? Check with your neighbors to see if they have any waste to dispose and if they would be willing to split the cost of a dumpster rental. #7. Ask for help: Whether this is your first or tenth time renting a waste disposal dumpster, the process can feel like unfamiliar territory. There is no need to choose your dumpster alone. Here at Rolloff Dumpster Services, we are experts in dumpster rentals. One of our team members would be happy to walk you through the process of selecting the perfect dumpster for your special project. Call 678.807.9328 to get answers for all your waste dumpster rental questions before beginning your next big project.